The bride walks down the aisle… Cheerfully looking at the groom who soon will commit to eternal love. She cherishes every moment of her wedding. As it should be… But this bride is different, an so is the groom. 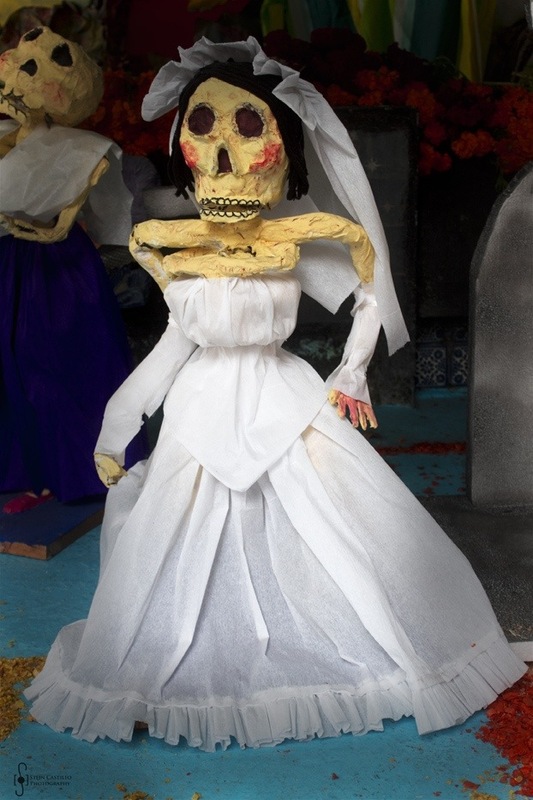 This bride is here to swear everlasting love in life and… death, specially death because she is also part of a great mexican celebration know as “dia de muertos” or day of the dead where the passing away of loved ones is not mourned but celebrated with family, music, food, tequila and “calaveritas” (little skulls) that mock the grim reaper for the enjoyment of the living.